This entry was posted on February 13, 2013, 9:35 am and is filed under Media, Michael Jackson, Paparazzi, tabloid. You can follow any responses to this entry through RSS 2.0. You can leave a response, or trackback from your own site. SGAA, thanks for a thorough and wonderful blogpost. Hats off to Mr. Steven Tyler and the Hawaii Legislators. I am certain that there is a certain amount of expectation from celebrities as far as their career and the media support are concerned. However, there has to be a fine line somewhere in between the two. Even media representatives expect some form of privacy for themselves and their family members. Does being a celebrity mean you don’t have a right to personal privacy? WE do need the media to report news and to keep the celebrities highlighted in a way that is productive to their longstanding careers, but how much of the media’s attention is really needed. Actually an excellent artist doesn’t need the media too much when they have fans. There is a thing called “too much exposure”. Why don’t we ask Michael Jackson about being overexposed? He could give us at least thirty years training in being overexposed by the media outlets. What’s wrong with Mr. Tyler or any other persons wanting to just relax and have a PEACEFUL vacation? Celebrities do sort of ask for the attention when they choose to become public figures but what they don’t ask for is to be harassed twenty-four seven by the media and fans. They do have PERSONAL lives whether we believe that or not and it doesn’t include US. Many celebrities give the media opportunities, at their leisure, when they are ready to share their personal lives with the world. Why can’t they wait to be invited into that? For the Hawaii State Legislators to author and approve this Act tells me that they even believe the paparazzi problem has gotten way out of hand. It is truly shameful when respect has to be forced by state legislators. Journalists have jobs too and I, for one, respect their positions. I strongly believe in the freedom of expression by way of speech and publication, but there has to be a better way of exercising that privilege. That is a privilege whether we admit to it or not, you know. The Anti-Defamation Legacy Law Advocates support Mr. Tyler’s ACT 1000%. 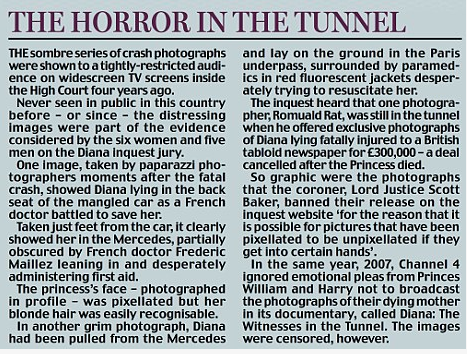 Even in death celebrities and others continue to be bullied by the power of the media and not many seem to be concerned about that. Family members left behind like the Jacksons: Katherine, Joe, Prince, Paris and Blanket Jackson are left here to deal with the cruel media antics levied at Michael Jackson. Why is it okay to post photos of Michael Jackson lying in a casket when the media never had access to him in that manner? Why was it okay to publish morgue photos of Mr. Jackson during the trial? Why was it okay to post a photo of Mr. Jackson inside the ambulance enroute to the hospital? Isn’t it enough that his children have to deal with his death? Why do they have to deal with extra cruelty published by media “Professionals” who I’m sure also have family members. Of course the answer is its Michael Jackson. Who cares? Many people care. His family members care. 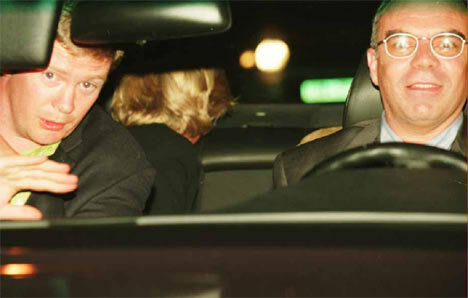 Princess Diana’s family members cared and still do. We have no idea what kind of emotional trauma these family members have suffered at the hands of the free press. Why was Whitney Houston’s casket photo plastered on the front page of the National Enquirer? Why? Because inquiring minds want to view the ugliness of things not newsworthy. The First Amendment was NOT framed to give us access to the private lives of other people, but to guarantee that we have just cause to protest and voice our concerns about government or political issues that may not be beneficial to ALL U.S. citizens; in other words to make sure that the government was not stopping citizens from voicing or publishing their concerns. It never gave us the right to go into the bedroom or bathroom of other people and publish private information to get a rise out of people who seek trash for a living. The First Amendment is a privilege and not a right to defame and slander people with information that is NOT newsworthy. I say give the celebrities and others the right to file civil suits against media sources who use their private photos for sport, entertainment and financial gain. I say give the deceased family members a right to file civil suits against media sources for defamation and slander if it can be proven. We do NOT have the right to use the fist amendment as a free pass for our own personal gain. The Cadeflaw Anti Legacy law is something that must be passed and approved. Thank you for your eloquent and honest comments. Cadeflaw and SGAA can make a difference in getting these types of bills passed, it is a long road ahead but we believe it can happen. It must happen.